The Killam Family of Yarmouth played an important part in Yarmouth history. They owned ships, sold coal, and exported a lot of other goods from the docks of Yarmouth. John Killam 1st of Yarmouth came from Wenham, Mass. in 1766 with his wife, Sarah Allen, and two sons, John 2nd and Abraham. He settled in Chegoggin where he had a grant of land. Nine more children were born there. Killam ships, the ' Thomas Killam'. In 1788, his son, John Killam 2nd, moved to Milltown (later Milton) where he bought a part of John Walker's grant of land at the head of the harbour. Here on the west side of the harbour he built his house, set up a saw mill and had a small shipyard where he built five vessels between 1788 and 1829 Thomas Killam was the third son of John Killam 2nd and Sarah Allen and was born at Milton in1802. He received his education in private boys schools in the vicinity and, as one school was located in a room in his father's house, he probably attended it. Although known as Captain Thomas Killam, there is no record of his sea-faring career, but he must have been familiar with ships as he saw them being built in his father's shipyard. In 1823 he married Sophia Corning, daughter of David. Their son, George, was born in 1824. Sophia died in 1839 and he then married Elizabeth Gale Dudman. Eight children were born of this marriage. 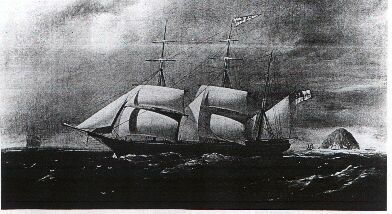 He started the firm of Thomas Killam and built his first vessel in 1839, the 'Sophia', 98 tons. From then until his death in 1868 he had owned or partly owned 57 ships. In 1849 he took into partnership his son, George, and brother in-law, Willam K. Dudman, under the firm name of Thomas Killam and Company, Ship Chandlers. In 1862 this partnership was dissolved and sons, Frank and John H., entered the firm. 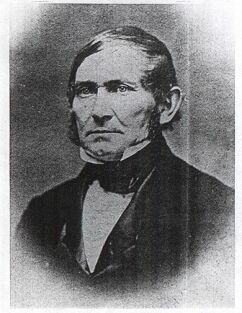 In 1847 Thomas Killam entered politics, becoming Liberal representative for the Township of Yarmouth. In 1851 he was elected to represent the County and for 20 years was a member of the Legislature. In 1867 he was elected to the first Parliament. He died in office in Digby 15 Dec.1868 on his way home from attending Parliament. The following year his son, Frank, succeeded him. Frank Killam was the second son of Thomas Killam 1st and Elizabeth Dudman. He was born at Milton September 3rd 1843. He was educated at one of the boys schools in Milton and at Thorburn's School for Boys in Yarmouth Town. He married in 1867 Ellen Hood, daughter of Henry Hood, and had seven children : Henry, Maude, Ada, Carrie, Cecil, Luther, and one whose name is unknown. In 1869 he became a partner in the firm of Killam Bros., together with his brothers, Thomas jr. and John H. In 1867 he lost his left arm when a cannon prematurely discharged during the celebration of the Nova Scotia Election Victory. This accident took the life of Manus Kane. In 1869 Frank Killam was elected to the House of Commons to fill the vacancy caused by the death of his father, and was re-elected continuously until 1882. Frank was a shareholder in the following local enterprises: Yarmouth Marine Railway, Pacific Insurance Co., Western Counties Co., Yarmouth Marine Insurance Co., Yarmouth Duck and Yarn Co., and Yarmouth County Agricultural Society. He ran for Mayor of the Town of Yarmouth in 1898 and lost by one vote to George W. Johnson. A Methodist, he was a member of the Wesley Chapel and Methodist Church at Milton. Frank Killam lived his entire life in Milton, and died at his home on Elm Street in 1911. Today most of the Killam buildings are being used as museums for the tourists, but one wharf is still active, though not under the Killam name. The Killam name is a very proud and important name in the history of the Town of Yarmouth. Click here to see a list of ships owned and the tonnage of each.